The battle rages on for the Battle for Terra: The Emperor State, a 30k summer campaign! To see Phase I missions visit here. 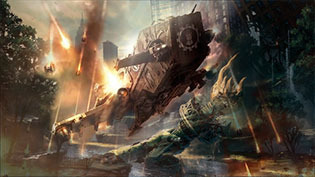 The Warmongers NYC are currently battling over NYC in the grim dark year of 0014.M30. Legion lists are currently at 1850 pts. Factions will capture and hold territories giving armies access to dark arsenals, relics, battle boons, prizes, bragging rights and much more!